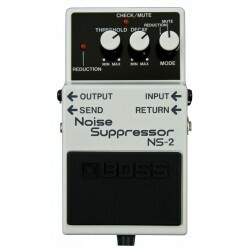 Noise Gate Il y a 6 produits. 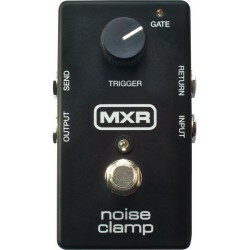 Noise Gate/Effects Loop A sophisticated noise gate that can tame a single pedal or an entire effects loop! 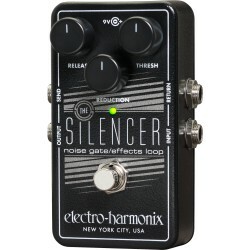 The Silencer’s three-control layout provides precise fine-tuning to fit your system, axe and playing style. Hum EliminatorEvery musician battles hum in their signal chain. 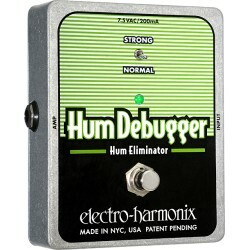 The Hum Debugger turns it into dead silence, courtesy of a little EHX magic. 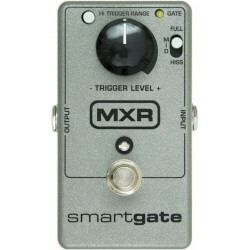 Not a noise gate, and not a noise suppressor -- but a real hum extractor. Silence is golden.